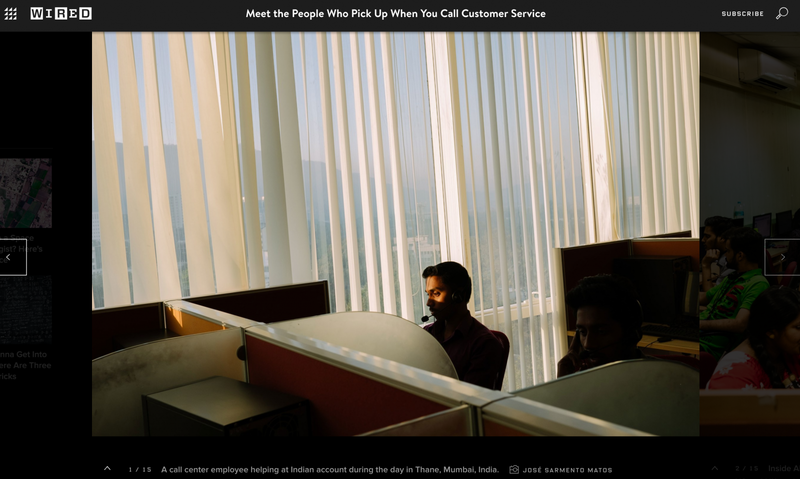 My project on Call Centers published on Wired this Monday. After Newsweek Mag and The New York Times my project "How Can I Help You?" was published at WIRED today. Piece written by Charley Locke! It´s nice to see these two chapters (India and the Philippines) of my on-going project about this faceless people (who deserve more than just a voice) still getting attention by big international publications. Check it out! José Sarmento Matos BLOG My project on Call Centers published on Wired this Monday.